There I was sitting at Stansted Airport, waiting for my flight to get back home. For the third time, the departure time had been delayed and now it was getting really late. I checked my watch anxiously – what if the plane landed too late? What if I missed the last train home from the airport? I wouldn’t get home until the next day and I had to work. For the last few days I had been in London to visit some friends and speak at a conference. The topic was generosity. It was a challenging event and I was so encouraged to hear stories about our generous God and the generosity of people around the world. We have been given everything when we actually deserve nothing. We can place the little we have in the hands of the Master and watch as magnificent things unfold from it. We will never be left empty when we practice generosity. Finally we were able to board. Two hours later than expected we took off and the pilot did his best to catch up some time. It wasn’t enough, I missed the last train. That’s it for the night, I thought. No, it’s not, God responded. In baggage claim I ran into my former linguistics professor I had not seen in two years. She had been on the same plane and her husband came to pick her up. Instead of a long sleepless night at the airport, I got a free ride home and a great conversation in the middle of the night. It was nearly 2 a.m. in the morning when I opened the door to my apartment. About four hours left before I had to get up again. I found a note from my roommate on the table: Welcome back! I knew you’d get in late tonight, so I made you some school lunch for tomorrow. Have a great day! There it was. The message that I had taken away from the conference in London was mirrored right in front of me. Generous people doing small things that meant so much to me that night. It’s not always about the money we give or the greatness of things we do. We’ve all been given so much – let’s not hold on to it, but be generous. You will not be left empty, I promise. It’s Saturday already, but it’s not too late to share in the writing fun over at Five Minute Friday. Come and join us! 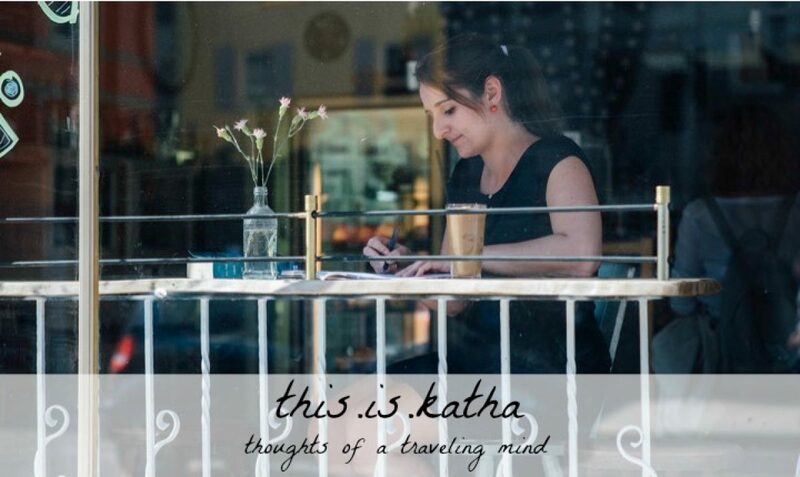 Katha, I love this! It really does make a difference when people do small things for us, doesn’t it? I’m over in the 5 spot this week. That’s so cool all the practical ways we’re cared for. I love this. Wonderful post!